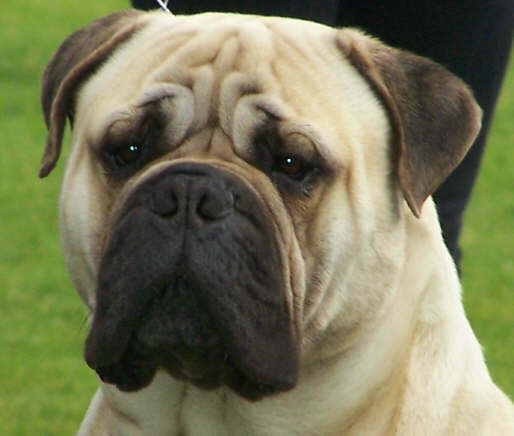 Dream was a very special part of our family producing us two beautiful litters, winning at the very top level at Specialty Bullmastiff shows but primarily was the most special girl we could have ever dreamed of. We were very fortunate to have shared our lives with her. ​We can't thank Cheryl enough for our Dream come true. Koda came to us from Nightquest Bullmastiffs just before his 2nd birthday. He had a very successful show career in Australia and New Zealand. ​He was a loving devoted boy with those classic English looks and we loved him to bits. Thank you Michele for allowing this special boy into our lives. Brandy was a sweet natured gentle lady. She was the most amazing deep rich red. 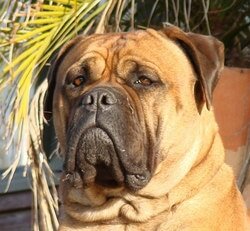 She produced our first two litters of bullmastiffs, each a huge learning curve. She passed her beautiful nature on to her pups many who love to greet people with a present in their mouths (toy, blanket, pillow, whatever).